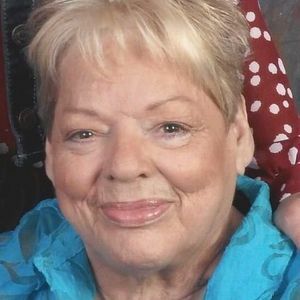 Drakesboro- Emma Jean Patterson, age 64 of Drakesboro, passed away on March 12, 2016 at her residence. She was born in Muhlenberg County on September 30, 1951. She was a homemaker. She is survived by her children, Scott(Melissa)Miller of Drakesboro and Windy(Richard)Vincent of Central City, grandchildren, Harlee Richardson ,Kayson Vincent, Dylan Miller, Timothy Williams, and Sadra Miller, 5-great-grandchildren, brother, Oscar Patterson of Hopkinsville, sisters, Christine Williams of Owensboro, Elizabeth Patterson of Greenville and Anna Denny of Greenville. Funeral services will be held will be Tuesday, March 15, 2016 at 2:00 PM at Tucker Funeral Home in Central City, with Bro. Corey Harrison officiating. Burial will be in Jagoe Cemetery in Central City. Visitation will be Monday after 5:00 PM at the funeral home. Online condolences may be made at www.tuckerfuneralhomes.com. Emma was both my late mother's and my former student at the Kentucky School for the Deaf. She was a very good student and always wanted to do her best! She was a very nice, sweet, personable, and responsible lady. She will be fondly missed by many of her friends including me. My husband joins me in sending Lee Holder, Windy, Scott, and her extended family our love and deep sympathy with prayers for ease and comfort in their sorrow. So sorry for your loss. She was my great, sweet, witty, and friendly friend. We had a great memories of being together. I m happy that she's no longer suffering and lonely. I love her sweet smile. My thought and prayer go out with Lee Holder, Windy, Scott and her families. One sweet lady that I loved very much, she is walking beside Jesus and no pain or dialysis. We sure are going to miss her presents here on earth. But know you are happier and pain free now. I'll see you again someday. So sorry for your loss Windy. Your Mom was a very sweet lady. Praying for you and your family. Family of Ms. Patterson, thank you for brought her to see her friends during Ksdaa annual picnic last August. Ksdaa officers and board members will miss her and send the prayer.